From the biggest socially conscious companies, to emerging brands and designers — we find the best products that do good and look good. Inside of CAUSEBOX you'll find jewelry, homewares, skincare products, accessories and more each season. And we tell you the stories behind each brand. Many of the products are exclusive CAUSEBOX collaborations that you can't get anywhere else! We don't just support brands that give back. We also give back. We partner with and serve different charities to help them raise funds, reach more people, and tell their stories of empowerment and impact. A few past charity partners include: Freedom Firm, Speak Your Silence, The Jessie Reese Foundation, Trees for the Future, Books for Africa, and more! No cancellation fees, no traps, no nonsense. There is nothing that we hate more than sneaky subscription services that make it easier to cancel your credit card than your subscription. If you don't love CAUSEBOX, then we haven't done our job, and you will never be punished for cancelling. You can do it from your account page. No guilt, no trouble, no surprises. We don't just send a box full of products and let you figure out what they are and why we chose them. Our editorial team digs in deep and talks to the founders of our partnering companies - we get the nitty gritty. We tell you why a brand gives back, who they are directly impacting, and where their products are made - and we publish it all in a beautiful magazine that comes in each box. Because, transparency matters. Each box is limited-edition and most boxes sell out within a few days of release. 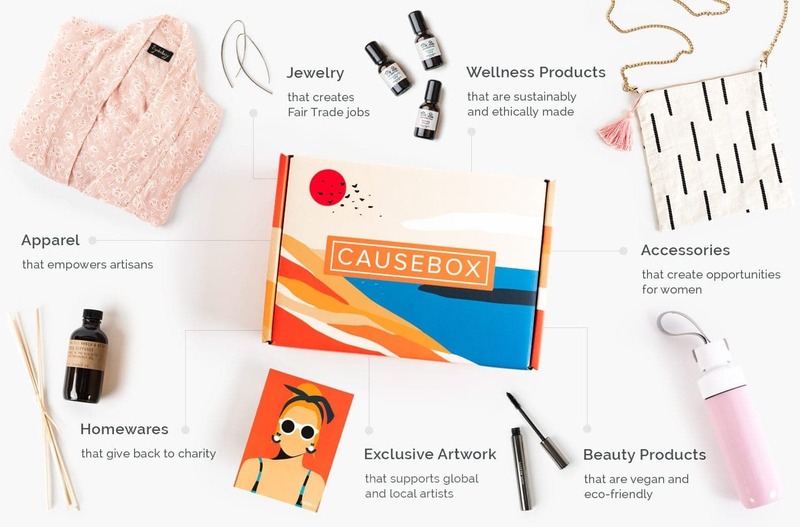 Discover the joy of receiving CAUSEBOX! Each box is limited-edition and most boxes sell out within a few days of release. 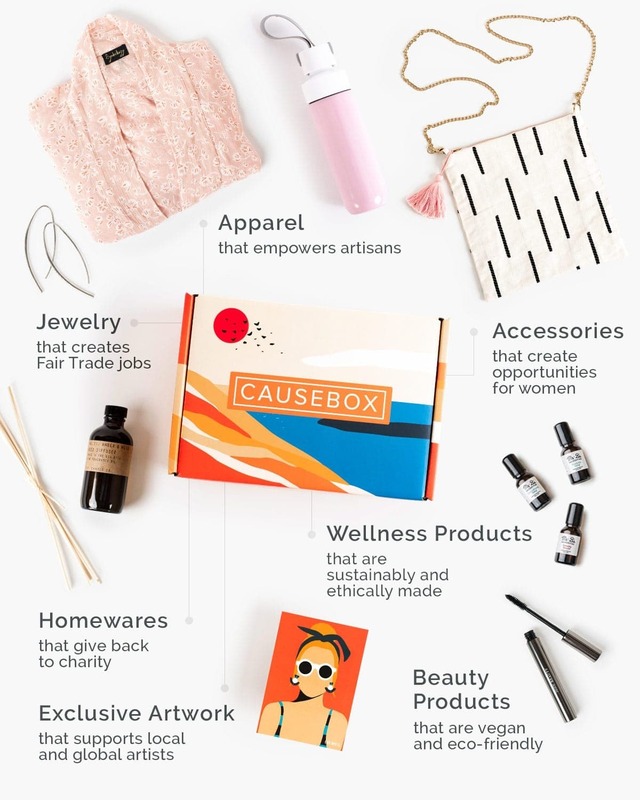 Discover the joy of receiving or gifting CAUSEBOX!